Do you have the problem of auto following the people that follows you in Twitter? This was my dilemma since I believe in reciprocal following. Anyway, after doing some research I found out about Social Oomph. 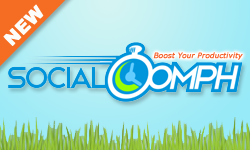 All you need to do is to sign up in Social Oomph. After doing that, you can include your Twitter account under the Social Accounts. Aside from Twitter, you can also include your Facebook, Buzz, Blog, StatusNet and other social network accounts. I haven't tested though adding the mentioned social accounts. Now the trick in Social Oomph is to add automation. Still under the Social Accounts select Manage Accounts then Edit. There is an option there to auto follow those who follows you as well as the default message to send the people that follows you. Isn't that awesome? Everything is automated and it will be a good marketing tool for business. And by the way, it's FREE!